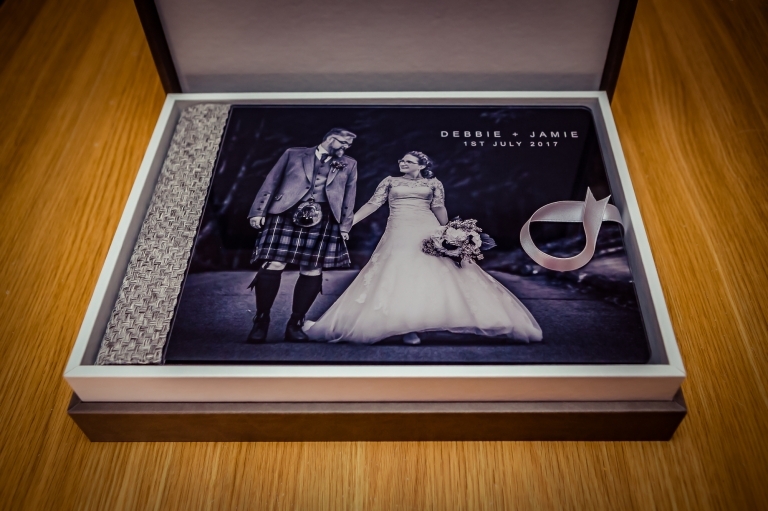 Wedding albums have been coming thick and fast of late and therefore, I’m delighted to be presenting the first of two new designs this evening, kicking off with Debbie & Jamie’s album from their wedding at Blair Castle last July. For me, the wedding album is very much the culmination of everything that I do, and absolutely remains the best way to truly tell the story of the day. For their album, the guys went for the fabulous “Original Wedding Book” from my lab, Graphistudio. The album itself featured the popular “crystal glance” picture cover with a grey woven binding. 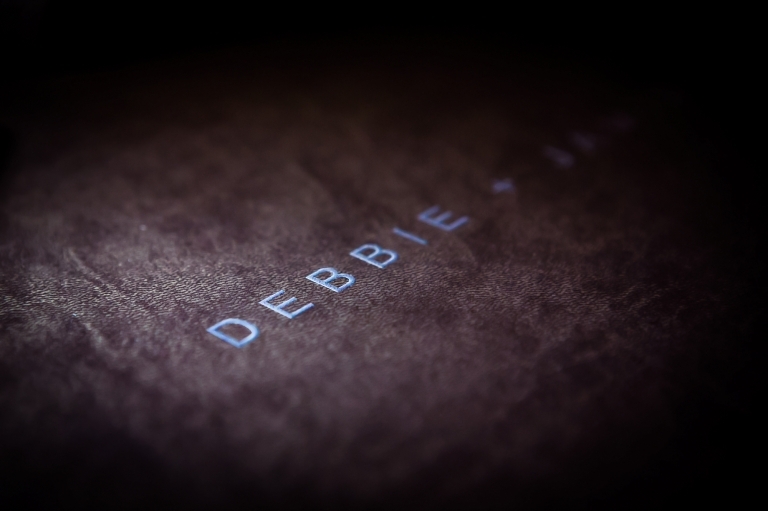 The “Design Box” was finished in a smoke grey/ice grey cloud leather combination and highlighted with raised and varnished titles. The huge 68 pages of loveliness were finished off using the very luxurious “pearl” paper :-).